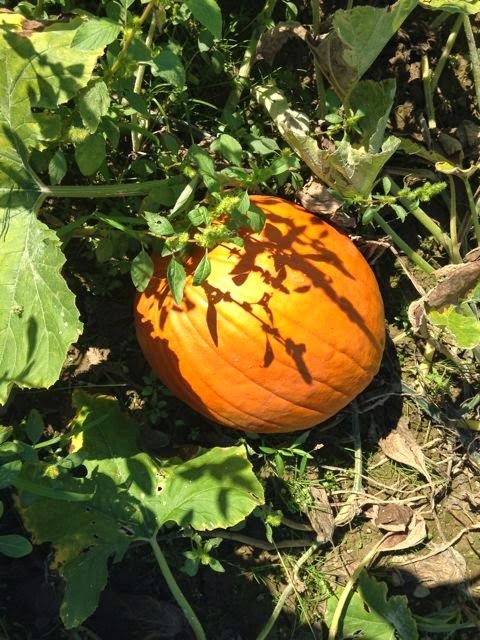 One of our family's favorite times of the year is right around the corner -- Fall Festivals! 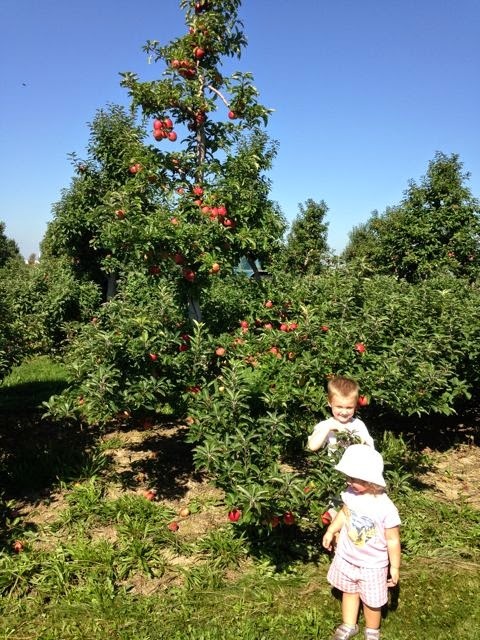 There are so many great farms to visit in Northeast Ohio, but one of our favorite festivals is the Apple Harvest Festival at Monroe's Orchard in Hiram, Ohio. I am so happy to announce that I was invited to participate at this year's festival at Monroe's on the following dates! I will have a canopy tent set up for story time! I will be reading Three Ghost Friends, Baby Beards!, and some of my other favorite fall books! I hope you can stop by with your family! Books will be available for purchasing and autographing! 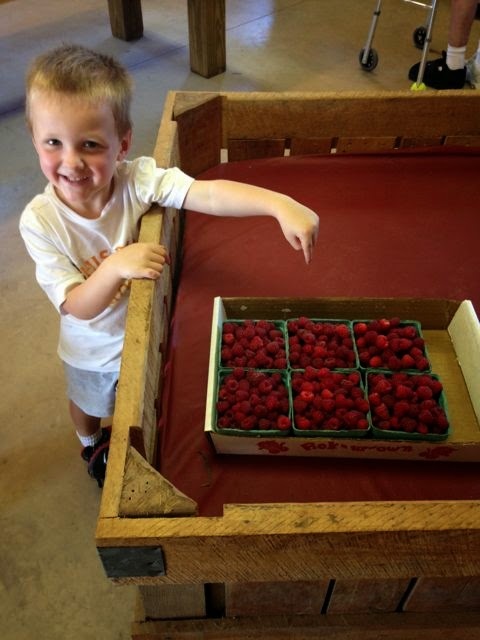 My youngest two children and I visited Monroe's Orchard twice this week to pick red raspberries. It is our favorite fruit! We picked 6 containers each day! We will eat many of them fresh this week, but most of the berries will be frozen to enjoy in our fruit smoothies we make for our lunches! 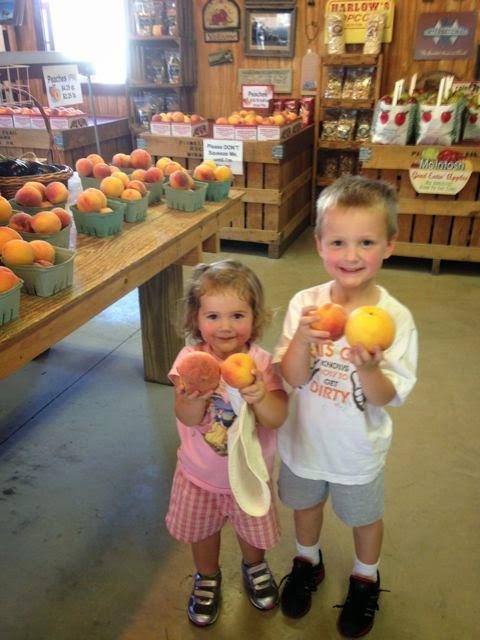 Monroe's was hit hard by a rough winter and lost their peach crop. 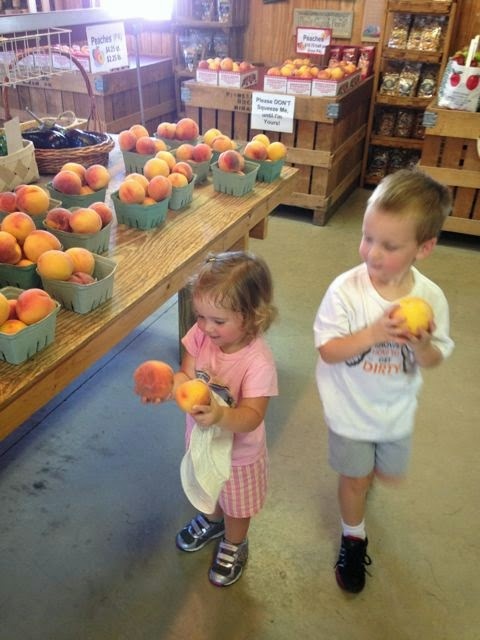 But, they have peaches available in the market from Pennsylvania! We really enjoyed eating the peaches for dinner! Monroe's market is full of healthy food. 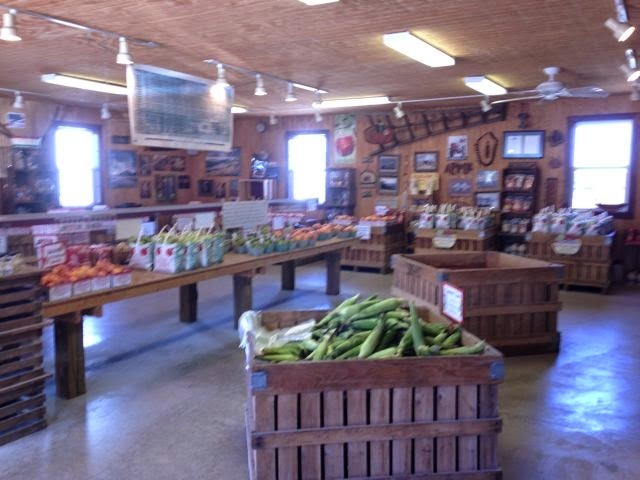 We picked up some delicious sweet corn too! 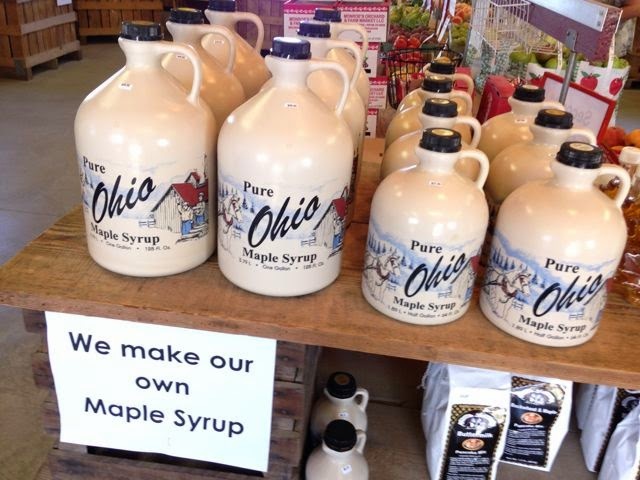 We love Ohio maple syrup! Apples are now available too! 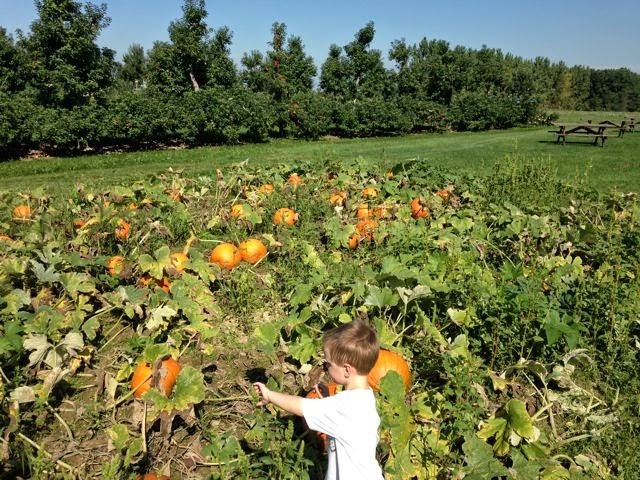 My son was so excited to see that the pumpkins are already orange. He said, "When can we pick them? When will it be Halloween?" Apples are lookin' good too! So? 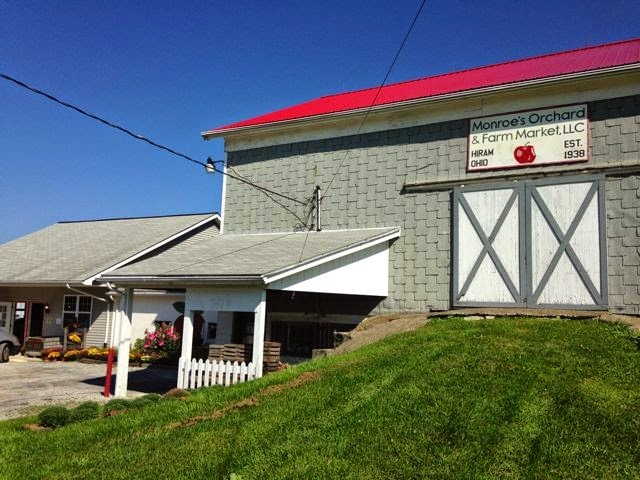 Will I see you at Monroe's Orchard for their Apple Fall Festival? Baby Beards! features all these healthy foods in the book - whole kernel sweet corn, locally grown peaches, and farm-fresh red raspberries! 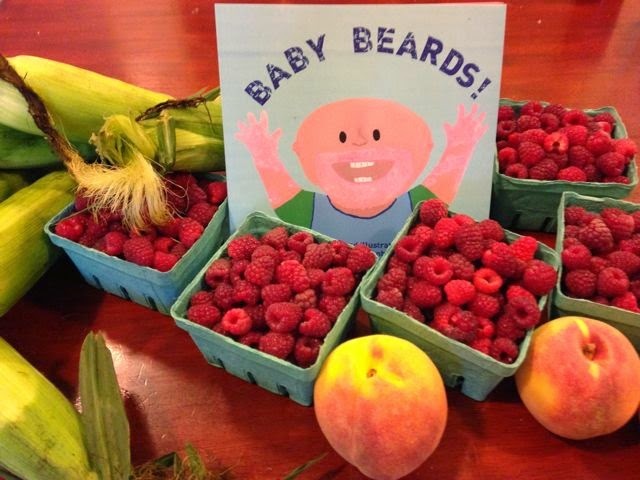 Pick up a copy of Baby Beards! today on Amazon or visit me at Monroe's! Don't Miss! 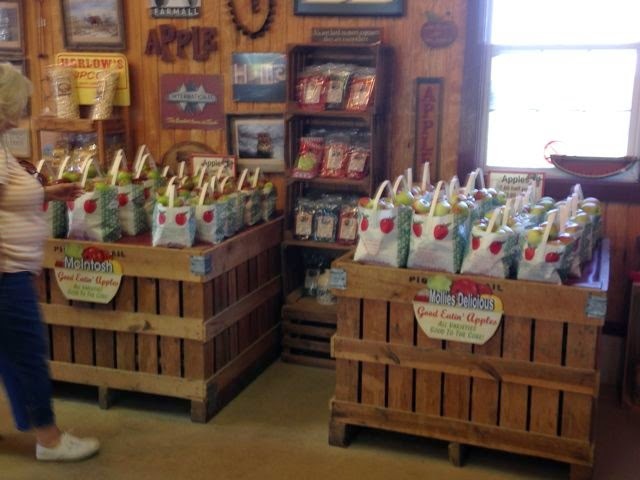 Monroe's Orchard's Apple Harvest Festival! 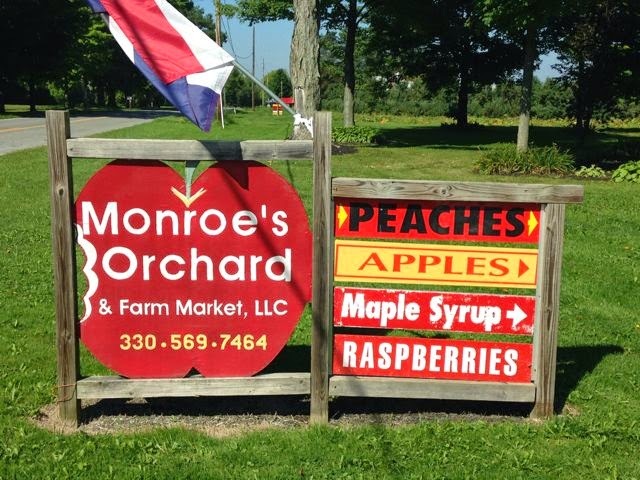 Visit Monroe's Orchard's Website too!